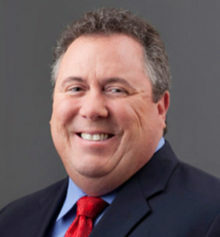 Doug Wagoner is on the boards of Thomson Reuters Special Services, TeraThink Corp. and Patricio Enterprises. He is also an adviser for Bain & Co. and private equity firms. He was sector president at SAIC from 2013 to 2017. Wagoner: I read two very different books. The first was Walter Isaacson’s “Leonardo da Vinci.” I have always admired da Vinci’s art, but after reading about his entire life experiences, I gained a complete understanding of a complicated man and how science and technology was his true passion and basis for his art. It was inspiring to read how his passion and relentless curiosity made him such an amazing innovator. The other was “The Girl with Seven Names” by Hyeonseo Lee, which is the amazing story of a woman’s lonely journey to leave her family in order to escape North Korea. It describes her incredible journey to escape a ruthless dictatorship, the battle for human rights, and the many hardships that she faced attempting to guide her family to freedom. It was a stirring reminder of the power of the human spirit to be free. Wagoner: In my late 20s, I got the opportunity to live and work as an executive of EDS in Mexico City. This was the first time I had lived outside of Virginia. Everything about the experience was challenging from the work, to the new culture, to living outside of the U.S., to living in a urban environment. I learned patience. I learned that there are many approaches to solve problems. I also learned the enjoyment of deeply experiencing a new culture. Wagoner: Don’t worry so much and bring down the anxiety level some. You and the people around you will be a lot happier. Things tend to work themselves out for the best if you are your best. Even those times of disappointment often turn out to be blessings in disguise. Wagoner: I have been to Florence twice and absolutely love the city. There is great beauty, food, wine, art and architecture. It’s even more impressive when you reflect upon the city’s impact on religion, the renaissance and business. Wagoner: I am increasingly fascinated by the power of voice and voice AI. Devices like Alexa, Google Home and Siri may seem like gimmicks today, but they are proving the impact of voice as the future interface to all technology. This has the potential to break digital barriers for the poor and technology challenged. I believe that the application interfaces we have today will disappear and natural language will take over.